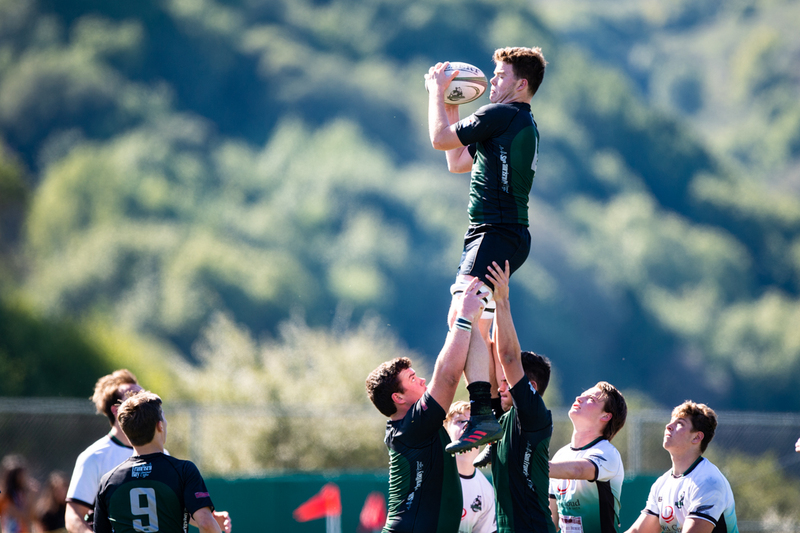 Granite Bay knocked off #1-ranked Lamorinda 22-5 Saturday in Rugby NorCal action. 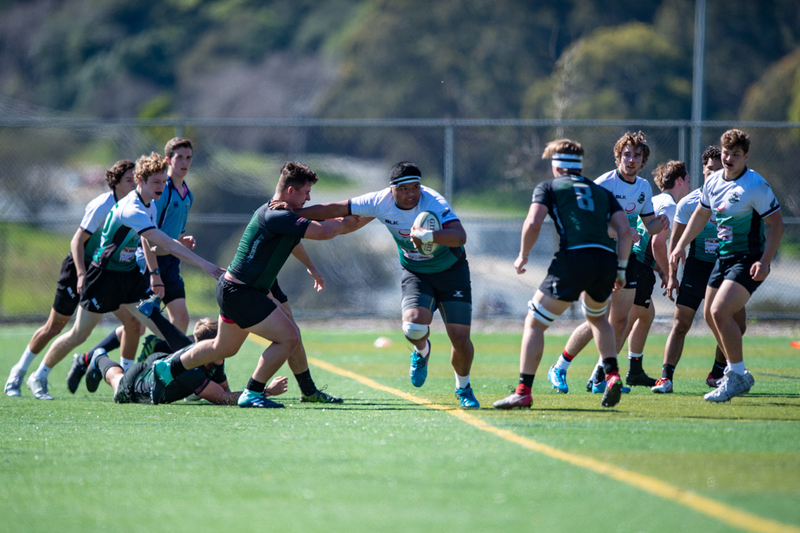 Ranked #3 among HS Clubs by FloRugby, Granite Bay won a hard-hitting battle thanks to a solid defensive effort. Lamorinda, in fact, scored first, working a nice kick-and-chase move to take a 5-0 lead. But after that, Granite Bay did well to shut Lamo down. It wasn't, however, until the 27th minute that the Grizzlies were able to reply. After prolonged pressure, Granite Bay prop Bryce Van Order picked up and powered over the line, and we were tied 5-5. 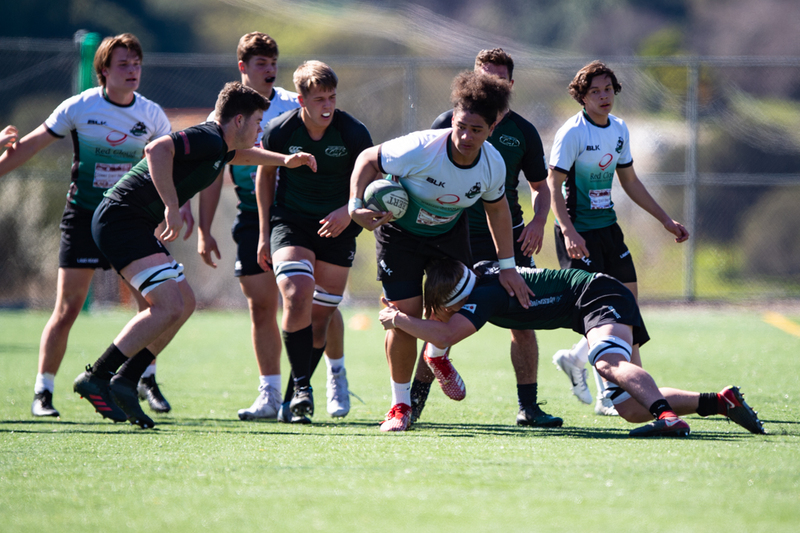 Four minutes later, more pressure produced a penalty against Lamorinda, and Granite Bay center Will Nogrady tapped and was over to give his side a 10-5 lead. In the second half, Granite Bay scored two more times. Prop Cameron Nelson scored on a pick-and-go from five meters out, and then in the final five minutes, No. 8 Triston Haverty scopper up a loose ball and was in under the posts. Bennett Mantz converted that one. So the result, while 22-5, was not a comfortable win for Granite Bay. The game was within a score either way up until the 65th minute. Granite Bay head coach Jason Divine said the win was "very gritty and gutsy, but we still have a lot of work to do." 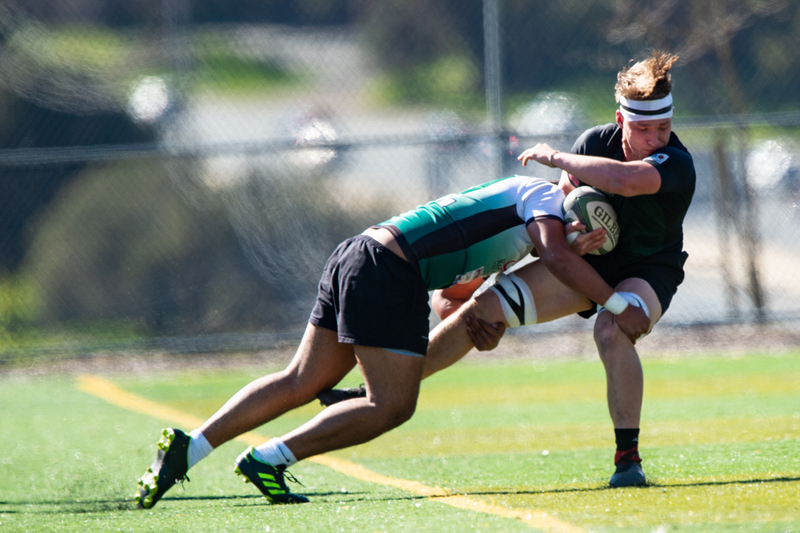 The win puts Granite Bay at 2-0 in Rugby NorCal's Premier Varsity 1 league. Lamorinda drops to 2-1. 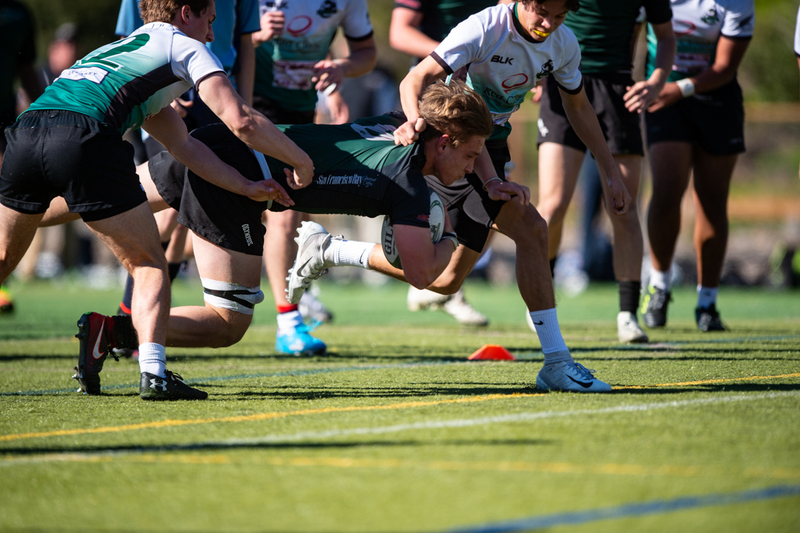 Also this weekend, SFGG won over De La Salle (who are Premier Varsity 2) 29-27. Danville defeated CK McClatchy 54-5. Jesuit beat the touring St. Louis University High. None of those games count in the standings.